From September until November visitors to Singapore will be captivated by not one, but three colourful cultural festivals celebrating the Chinese Mid-Autumn Festival, the Indian celebration of Deepavali, and the Malay festivities of Hari Raya. With enchanting street “light-ups”, fabulous feasts, live music, outdoor performances and plenty of family fun, planning a trip to Singapore to coincide with these festivities guarantees a truly enriching experience of the Lion City’s unique ethnic diversity and local customs. This year’s Mid Autumn Festival will take place from 31 August – 30 September, with the action stretching from Chinatown to the Singapore River. While the 15th day of the 8th lunar month is the official festival date, the local Chinese community celebrates family unity throughout the entire month. The Festival is linked to many legends but celebrations today mean walking through streets beautifully illuminated by fairy lights and lanterns, bartering at the vibrant street markets and sampling mooncakes, be they the traditional ones filled with lotus seed paste, or the modern ones flavoured with chocolate or ice-cream. Key highlights include: The ‘Lantern Fantasy’ with the theme ‘F8 – Kitty Go Races’ will showcase worldwide favourite Hello Kitty and friends participating in sporting races. There will also be a program of dedicated Chinese cultural events, family activities, children’s entertainment and performing troops. A free walking tour begins at the Chinatown Heritage Centre and runs daily in the evenings between August 31 and September 14. Grab a lantern and learn about the history, customs, myths and stories of the Mid-Autumn Festival on this guided tour of Chinatown’s streets. The Hari Raya Light-Up & Celebrations will spice up Singapore’s Malay enclave between August 24 and October 12. One of the calendar’s most significant festivals for Muslims, the festival marks the end of the fasting month of Ramadan. The historic Kampong Glam district, the original seat of Malay royalty, and the streets of Geylang Serai will be the centre of the celebrations hosting bustling bazaars, stage shows, musical performances and a shimmering light-up display. Key highlights include: Free daily free walking tours are available in September departing in the afternoon from the Sultan Mosque. Discover how Muslims prepare for and celebrate Hari Raya and explore the significant sites of the vivid Kampong Glam quarter as the local Muslim community celebrates the breaking of fasting. Otherwise known as the ‘Festival of Lights’, Deepavali celebrations will run from September 20 until November 2. The most important festival for Hindus, it commemorates the triumph of good over evil, and light over darkness by lighting the streets and temples of Little India with streamers and twinkling lights. Serangoon Road and the Sri Veeramakaliamman, Sri Vadapathira Kaliamman and Sri Srinivasa Permual temples are particularly dazzling. You’ll hardly believe you’re not in Mumbai when you trip down Campbell Lane, which will be packed with stalls overflowing with stunning saris, tinkling jewellery, local arts and crafts and of course, fragrant herbs and spices sure to make any Indian dish a success. Key highlights include: Thimithi (fire-walking) Festival in Sri Mariamman Temple (October 20) when, in a display of breathtaking devotion and faith, Hindus walk bare-footed across a four-metre bed of burning hot coals to commemorate the Goddess Draupadi. The Deepavali Street Parade (24 October) is the largest most spectacular arts event in Little India and a must-see gala featuring music, dance and cultural acts along Race Course Road. The Deepavali Bazaar (Deepavali Festival Village, Campbell Lane, 20 September - 26 October) and Deepavali Trade Fair (Serangoon Rd from 28 September to 26 October) are a must for Indian artefacts, clothing, jewellery and fabulous food. Free nightly walking tours will also take place from September 20 – October 26. Step out from the InnCrowd Backpacker’s Hostel to take in the colourful arches and magnificent temples while being entertained by mystical stories of Indian folklore. To make sure you don’t miss out on any of the action, Creative Holidays is offering a fantastic package starting from $1,472* ex Perth, $1,702*ex Melbourne, $1,713*ex Sydney, $1,715*ex Adelaide and $1,720*ex Brisbane. Price includes return economy class airfares and 4 night’s accommodation at the Golden Landmark Hotel. To book contact Jetset on 136 383 or Travelworld on 131 435. For further information about Singapore, log onto www.visitsingapore.com or contact the Singapore Tourism Board on (02) 9290 2888. * Conditions and seasonal surcharges may apply. A 7-night cruise from Venice to the Greek Islands and back to Venice by way of Croatia, is selling through ecruising.travel from an amazingly low $699pp twin-share in November of next year. And as well, children up to 18 years sharing a cabin with two adults will cruise free, paying only port charges. There are just two departures available at this super-low price – November 16 and 23 2009 – on board the 102,000 tonne mega-liner Costa Fortuna, that will sail each cruise from Venice to Bari in Italy, the Greek ports of Katakolon, Santorini, Mykonos and Rhodes, Dubrovnik in Croatia and back to Venice. All dining in any of three restaurants, nightly showroom entertainment, late-release movies, and gratuities are included in the price. Costa Fortuna has four pools, six Jacuzzis, a jogging track, tennis court, spa, gym and fitness centre, and there are eleven bars and lounges and a casino. Full details on 1300 369 848 or www.ecruising.travel , who can also arrange best-possible-price air to join these cruises. ADDITIONAL SHIP INFORMATION: Costa Fortuna’s design was inspired by the grand Italian steamships of yesteryear that once served the busy liner routes from Italy to America. Models of many of these ships are incorporated into the décor of Costa Fortuna, while in the Main Lobby twenty-six such models alone depict the more recent history and growth of the Costa company. Sydney residents are invited to join a weekend of Korean festival fun at the Korea Sparkling Festival 2008 being held at Palm Grove, Darling Harbour on 20/21 September (10am-5pm). The star performers of last year’s festival ‘NANTA’ will return to perform three shows daily on the open air stage over the weekend. ‘NANTA’ have enjoyed great success on Broadway in New York and their shows are a big hit with tourists visiting Korea. Lucky Sydneysiders will be able to see them perform free of charge at the Korea Sparkling Festival. With dramatic comedy routines, traditional drumming beats and a lot of noise the group interact with the audience to make a fun and memorable time for all who join. The two day community and cultural festival organized by Korea Tourism Organization in co-operation with the Korean Society of Sydney will highlight the very best of what Korea offers – Korean arts and cultural performances including ‘Mask in Mask’, a Korean musical, Taekwondo demonstrations, Korean B-Boy (break-dance) performers, a Korean traditional fashion show and more. Visitors to the festival will be able to have their names written in the ancient art of Korean calligraphy or try on traditional Korean costumes. There will also be heaps of fun for the children with face-painting and traditional Korean games. Children will have great fun taking pictures with a 2.5metre high ‘Korea Sparkling’ robot with a video screen in his tummy. A Korea Tourism information booth will allow visitors to obtain free guidebooks/information on travelling in Korea as well as tour operators/airlines offering special package deals. A number of Korean food stalls will be selling Korean traditional foods like Kimchi (fermented pickled cabbage), Bulgogi (BBQ beef), Tokkbokkgi (rice sticks in a hot spicy sauce), Bindaettok (Korean style pizza), Japche (Korean noodles) and Gimbap (seaweed rice roll). The Korea Sparkling Festival is a free event and will be held outdoor at Palm Grove, near the IMAX theatre at Darling Harbour. Come along and join in some Korean Festival Fun! China's heart of the south, Guangzhou, is rapidly emerging as Asia's next stopover destination for travel throughout China, Asia and beyond to Europe, the Middle East and USA. This gateway city, formally known as Canton – has evolved from a thriving commercial metropolis into a short break paradise, offering some of the best shopping in Asia and many unique experiences. "Guangzhou is experiencing strong growth in hotel development, to meet a significant rise in visits from both business and leisure travellers," said James Liu, Regional Manager Australia for China Southern Airlines. China Southern offers four weekly flights from Sydney to Guangzhou and two per week from Melbourne. "Arriving late afternoon in Guangzhou with China Southern enables passengers to check in to their hotel by early evening and head out to dinner or an evening stroll, ready for an early start," said Mr Liu. "In addition to its bargain shopping, Guangzhou is the centre of Cantonese cooking and also offers a vast selection of unique dining experiences, with more restaurants than any other Chinese city," he said. Guangzhou offers a rare natural beauty along the Pearl River, and with historical sites and unique architecture scattered along its banks, a river cruise has become a must for visitors to the city. For more information about China Southern Airlines, or to make a booking, contact your travel agent, or call China Southern Airlines reservations in Sydney on 02 9233 9788 or in Melbourne on 03 8676 0088. Gecko’s Gets Off the Beaten Track in Asia – To Where There’s No Track At All! From yak trekking with nomadic herdsmen in Mongolia to hill tribe trekking in Thailand, Gecko’s has introduced a range of Asian adventures that go beyond the beaten track to where there’s often no track at all in the 2008-10 South East Asia and China brochure. The 14-day Mongolian Yak Safari is a wander across the un-tracked steppe, with yaks as ‘support vehicles’ and includes staying in the traditional felt ‘gers’ (tents) of the nomadic herdsmen. Eschewing the long driving days of typical Mongolian tours, the safari takes a more leisurely, low-impact approach. The trip begins in Ulaanbaaatar with a one-day train trip along the Trans Mongolian route to the Ilk Nart Nature Reserve in the Gobi Desert, a protected community reserve rarely visited by tourists, where the group stays for several days in a low-impact ger camp as guests of the local Dalanjargal community. Three quarters of the Mongolian population still lives in gers year-round and the trip is a chance to experience the traditional nomadic lifestyle, accompanied by local herdsmen. From a second base, the group undertakes a four-day trek skirting the southern fringes of Khan Khentii, a wilderness area three times the size of Yellowstone National Park. In the spirit of the nomads, the group will be self-sufficient, with all equipment – including ‘regular’ tents and a communal dining ger – carried on yak carts, and following no particular route; trekking no more than 20km per day; meeting local people, and seeking the most idyllic campsite each evening. The trip concludes in the capital, Ulaanbaaatar. The 14-day trip has six departures between May and August, 2009 and costs $1395 per person, twin share, plus a US$200 local payment. In Thailand, Gecko’s has introduced the 15-day Inside Thailand adventure, a cocktail of all the best things to do and see in northern Thailand: hill tribe trekking; getting up close to the elephants at the Elephant Conservation Centre; a visit to Sukhothai and shopping in Chiang Mai’s night markets. There’s a night in a local homestay, and transport ranges from tuk-tuk and boat to train and bicycle. After all that action, there’s time chilling out on the perfect beaches of two of Thailand’s least-visited islands, Koh Chang and Koh Samet – both National Parks - where the only other tourists are locals. There’s diving and snorkelling in the surrounding protected waters or exploring hidden coves and lush rainforest if hanging out in a hammock isn’t energetic enough. Inside Thailand starts in Bangkok with departures year-round. The trip costs $995 per person, twin share, land only, plus a US$200 local payment. For further information, visit your travel agent or call 1300 854 500 or visit www.geckosadventures.com to download a copy of the new Gecko’s South East Asia and China 2008-2010 brochure. Dreaming of a Tropical Whitsundays Wedding? With 74 glorious islands making up Queensland’s spectacular Whitsundays, there are just as many reasons to tie the knot in this perfect piece of paradise. Located in the very heart of the Great Barrier Reef, it’s little wonder the region hosts more than 1,200 weddings a year. Whether couples are seeking a formal ceremony or a relaxed gathering, the perfect wedding venue is sure to be found somewhere amongst the scenic beaches, clear waters and tropical rainforests of the Whitsundays. A new website www.weddingswhitsundays.com is making the most of this wedding wonderland; and is designed to take the hassle out of planning wedding ceremonies with inspirations and ideas conveniently located in the one online directory. From a barefoot harpist on the beach to a cellist in the rainforest, the site features over 60 of the best local businesses in floristry, marriage celebrants, entertainment, makeup, photography, decorations, music, cake and catering so couples can plan every detail for their special day in a one-stop shop. The website also has a list of 74 tips – one for every island - to help couples plan for a ceremony in the Whitsundays. Practical tips to ensure your wedding goes off without a hitch include researching tide times, staying hydrated, dressing for the tropical climate and remembering sun safety in the days leading up to the ceremony to prevent a sunburnt bride. The tips also offer handy solutions to gift management, local attractions, relaxation, accommodation and weather conditions. With a selection of resorts and services spread over eight of the islands and mainland, there is an experience to suit any style of wedding. Framed by lush rainforest gardens, pure white sand and absolute ocean front, many choose to tie the knot with the beach as the background. The region also features a range of churches and chapels to accommodate the more traditional ceremony. Many resorts and reception venues also have areas suitable for a ceremony. Or visitors may even chose to combine the service and reception on board one of the many ocean cruises available. As one of Australia’s premier holiday destinations, the Whitsundays is one region where couples are choosing to celebrate their marriage by spending a number of days with family and friends. With idyllic warm weather and sunshine throughout the year, wedding guests can immerse themselves in a variety of exciting and relaxing pre or post wedding activities such as boat cruises, snorkelling, sky diving, golf, four wheel driving, sailing and winter whale watching. The region also offers a range of fantastic options for hens and bucks parties. Whether you’re planning a wild night on the town, intimate sunset drinks or a day spa and catch-up with close friends the Whitsundays is the ideal location to celebrate the last few days of single life. The perfect setting of the Great Barrier Reef combined with the ease of Weddings Whitsundays is sure to create a dream wedding experience. The UK’s national tourism agency, VisitBritain, and Visit London, the capital’s tourist board, unveil their plans to welcome the world as the host nation and city of the next Olympic Games and Paralympic Games in 2012. The news comes following Sunday’s official handover ceremony, which marked the start of Britain’s four-year Cultural Olympiad, celebrating the best of the nation’s culture, and the opportunity to present Britain’s appeals to a global audience. For VisitBritain, the handover marked the first stage in its strategy to spread the economic benefits of the Olympic Games throughout the UK and raise the profile and awareness of Britain as a leading tourist destination. Now that the world’s attention moves from China to Britain, VisitBritain’s global network of offices will promote the nation as the place for watching and participating in sport at all levels, for events and for experiences, attractions and destinations with a unique blend of historical and contemporary culture. Thanks to the Olympic Games in 2012, Britain’s visitor economy could benefit to the tune of an extra £2 billion. Destinations, venues and local economies around the UK could be set to benefit from hosting Pre-Games Training Camps following the publication of the official online Guide developed by the London Organising Committee of the Olympic Games and Paralympic Games (LOCOG) and VisitBritain. The Guide showcases the quality and variety of more than 600 sporting venues and facilities to National Olympic Committees from all over the world, as well as representatives from International Sports Federations. According to recent VisitBritain research, more than a fifth (22%) of potential visitors strongly agree that they are more likely to want to visit Britain in the next few years because London will host the 2012 Olympics. Tourism gains are expected to come largely from emerging markets inspired by increased media exposure and publicity associated with the Games. Indeed, hosting the Games makes Britain particularly appealing for emerging markets China, India, Malaysia, Mexico and South Korea. One in ten visits to the UK from overseas – 4.7 million and 14 per cent of the total – involve watching a sporting event or taking part in sporting activities. Although they travel from the other side of the world, visitors from Australia and New Zealand live up to their reputation as ‘sports mad’ with 28 per cent of New Zealanders and 25 per cent of Australians watching or participating during their stay. Sport is also a way of attracting the attention of visitors from emerging markets where year on year growth often exceeds that from more mature economies. 16 per cent of Brazilians, 15 per cent of Malaysian, 14 per cent of Czech and 13 per cent of Russian visits involve sport – all higher percentages than the French, Germans, Japanese and Italians. ONE of Australia's most successful fund-raisers for cancer research is offering the chance to win a $9000 holiday on Queensland's fabled Lizard Island, and to help further cancer research at the same time. The Justin O'Connor Foundation that's raised over $750,000 for Sydney's St Vincent's Hospital Cancer Research Unit – and tens of thousands to assist with the care of country-based cancer patients – has just 500 tickets at $100 each in its raffle that carries a prize of 5-nights for two on Lizard Island. It includes all meals, premium alcoholic and soft drinks, a $2000 Travel Voucher to go towards getting there, and such island activities as use of motorised dinghies, snorkelling, tennis, nature walks and gourmet picnic hampers. The prize will be drawn on October 18 at the annual Justin O'Connor Cancer Research Masquerade Ball at Harden in NSW on October 18 and is valid for travel within the next twelve months. Tickets can be bought through www.fundsforcancer.org.au or Lyne at St Vincent's Hospital on (01) 9295 8376. (The late Justin O'Connor, a Harden pastoralist and father of eight, died of bowel cancer in 1999 and the Foundation established by his family to assist with cancer research. This November, 12 international pilots will glide into Perth for the final leg of the 2008 Red Bull Air Race World Series. The pilots will battle it out for the World Champion title, testing their speed and skill on a low flying race course, navigating through a series of air filled pylons in the fastest possible time. Qualifying races will take place on Saturday 1 November, with the action heating up on Sunday 2 November with the finals. Spectators are in for a treat with loads of activities on the ground – as well as the exhilarating action in the sky. The race is set over the picturesque Swan River in Perth, providing the perfect backdrop for this high flying event, as well as a fantastic holiday destination for visitors. The event is also a fantastic opportunity to show interstate and international visitors what Perth has to offer as a holiday destination. The stunning river, blue skies and fantastic climate provide the perfect setting for the Red Bull Air Race and with the many new tourism products on offer, guests will experience a sense of vibrancy and excitement in Western Australia’s capital city Perth. It’s the third consecutive year that Perth has played host to the Red Bull Air Race, and during that time there have been many high quality advancements as Western Australia’s economy continues to soar. The resource boom has led to an injection into the West Australian economy, with new luxury accommodation, top quality cafes and exclusive shops emerging throughout the state for tourists to enjoy. Restaurants, wine bars and cocktail lounges are popping up in the city with the likes of 1907 in Perth, Minq at Burswood Entertainment Complex, Must Champagne Bar in Highgate and GOLD in Subiaco some of the most recent additions. Guests can treat themselves to lavish accommodation at inner city hideaways such as the Richardson Hotel offering 5 star luxury, with its prestigious on site restaurant and day spa. In addition, the Sheraton, Hyatt, Burswood, Mercure and Novotel Hotels have all recently undergone refurbishments. 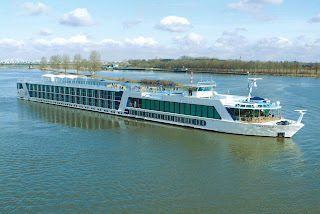 Cruiseco has chartered for Australian guests only, one of Europe's finest riverboats as part of an extraordinary 21-night Christmas and New Year holiday package that begins with Champagne in Paris and a luncheon cruise on the Seine, visits to the Rodin Museum, Notre Dame and the Louvre, and fourteen nights cruising from Amsterdam to Budapest with a festive Christmas Day Lunch on the Rhine and a New Year's Eve knees-up in Vienna. This once-in-a-lifetime package that's exclusive to Cruiseco's 150 cruise specialist travel agencies Australia-wide, includes 3-nights in Paris at the indulgent Du Louvre Hotel, a Champagne Reception, Paris sightseeing and the Seine luncheon cruise, and a day's drive to Amsterdam. There's a night here at the luxury Pulitzer Hotel on the so-called "Gentlemen's Canal," dinner at the historic Five Flies Restaurant – and then 14-nights cruising aboard the luxury Amadagio on the Rhine and Danube to Budapest by way of Cologne, Koblenz, Mainz, Miltenburg, Wurzburg, Bamberg, Nuremburg, Regensburg, Passau, Melk, Vienna (3-nights,) Bratislava and Budapest. Wines, beers and soft drinks are included with lunches and dinners on board Amadagio, and from Budapest there's a coach tour to Prague with 3-nights there including a walking tour of the city and Gala Dinner with Folkloric Show. Immerse yourself in authentic culture and local cuisine with Summit Hotels & Resorts, a highly-acclaimed collection of international hotels and resorts offering first-class amenities and services for the sophisticated traveler. Summit Hotels & Resorts are offering a tempting array of culinary packages for those who wish to travel and taste the world. Taste of Summit tantalizes taste buds with deluxe packages that highlight local produce and regional specialties, together with authentic cooking techniques and unique culinary styles. Epicureans can delight in these delectable offers, which include daily breakfast and a dinner for two at participating properties. Whether it is a weekend on the French Riviera for fine foie gras, a retreat to sunny Sorrento for crispy, wafer-thin pizza, or an incredible adventure to India to indulge in mouth-watering Madras curries – Taste of Summit has a multitude of gourmet surprises to delight all guests and the taste buds. The Metropolitan is perfect for exploring the hustle and bustle of New Delhi. With well-appointed suites and rooms, 24 hour concierge and great gastronomy, guests can entwine a serene stay with the vibrant vibe of New Delhi. For exotic spices and rich curries with hot peppers and delicious home-grown vegetables, Chutney restaurant serves authentically Indian cuisine with a modern and exotic twist – with over 200 types of home-made chutneys using rare fruit, vegetables and herbs. Luscious blue-green waters, rainbow-colored fish, white sandy beaches – find paradise at The Tongsai Bay. This idyllic retreat features stunning beachfront cottages and villas set amid lush tropical gardens. Chef Chom has taught over 500 chefs and cooks and now graces the Tongsai Bay with her culinary skills - serving fresh platters of prawns, crab and sea food delicacies with Thai flavors and spices. Situated in the heart of this exuberant city and overlooking Sydney harbor, the acclaimed Star City Hotel and Apartments welcomes guests with an elegant array of penthouses and apartments. Take advantage of world-class opera and theater nights while sampling tasty flambéed steaks and grills, and maybe for the adventurous traveler – a kangaroo burger. Home to many of the world's most acclaimed chefs, fine foie gras and vintage vin rouge – France is a foodies dream destination and the cuisine is par excellence at the Hôtel Gray D'Albion. Guests are invited to relax in style at this stunning French Riviera retreat, and embrace magnificent Mediterranean cuisines of freshly grilled fishes, French cheeses and fresh vegetables à la provencale, all served over azure-blue waters. This five-star hotel is paradise by the sea. Hotel Parco dei Principi boasts exquisite guestrooms with spectacular ocean views, a private beach and fabulous Italian Mediterranean cuisine served at restaurants Gio Ponti and La Spiaggia – freshly caught sea food is delicately served alongside wafer-thin pizza drizzled in local olive oil and accompanied by a drop of full-bodied fruity Montepulciano. Positioned in the leafy Back Bay quarter amid charming boutiques and fine-dining bistros, the newly renovated Colonnade features the city's only rooftop swimming pool, beautifully appointed guestrooms and great gastronomy - for the traveler with taste. Brasserie Jo serves authentic French cuisine using local organic produce, fresh fish and tasty dishes à la carte such as Steak Tartare and Coq au Vin - and all prepared by world-renowned chef Jean Joho. 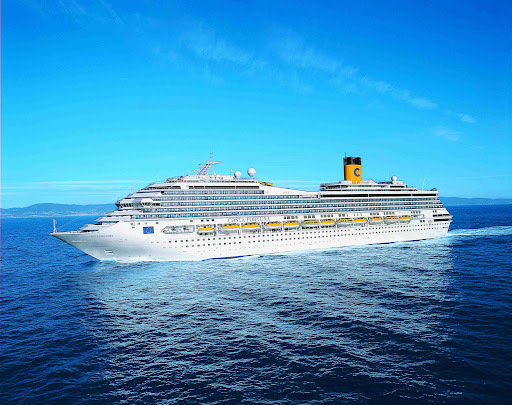 ADDITIONAL SHIP INFORMATION: Costa Fortuna's design was inspired by the grand Italian steamships of yesteryear that once served the busy liner routes from Italy to America. FOR those short on time, Coral Seas Travel has savings of over $400 per couple on a 3-night getaway to Port Vila – and a wide choice of alternative stay-3-nights-pay-2 – both later this year and again in early 2009 and including Virgin Blue's new Sydney-Vila direct flights. 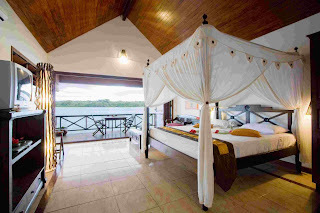 The $400+ saving is in a Lagoon View Room at Sunset Bungalows Resort and is now priced from just $739pp twin-share ex-Sydney, and from $879pp twin-share from Melbourne or Canberra, including return air and taxes, bonus light breakfasts daily, all transfers, and a Port Vila Introductory Tour. Sunset Bungalows has nineteen absolute lagoon-front rooms set amid landscaped gardens, private access to the lagoon, a beach BBQ, billiards, pool with waterfall, free kayaks and pedal boats, and a library. Bungalows are air-conditioned with TV/DVD/CDs and all rooms have direct-dial telephone and tea- and coffee-making facilities; the resort's Bungalow:ate restaurant is over-water with spectacular views, and Port Vila shops and restaurants are just 7-minutes away, and the airport twelve. Packages are on sale until September 17, unless sold-out earlier, for travel October 13 to December 11, and again from next February 1 to March 30. HONG KONG - August 2008 - Preferred Hotel Group is pleased to welcome lebua Hotels & Resorts to its collection of over 650 hotels and resorts worldwide. Its Thailand property, lebua at State Tower in Bangkok, is a member of Preferred Hotels® & Resorts and Lake Okareka Lodge in Rotorua, New Zealand is a member of Preferred Boutique™. The lebua at State Tower is an all-suite luxury hotel in Bangkok with breathtaking views of Bangkok and the Chao Phraya River from each of the 357 spacious suites. Ranging in size from 66 to 266 square meters, each suite has a river facing balcony, separate living room, fully equipped kitchenette, DVD player and provides Bulgari bath amenities and a mini-bar with Petrossian selections. Business travelers will appreciate the workstation design and high-speed Internet access, as well as personalized stationery. The hotel is located centrally in Bangkok's commercial district, just a 10-minute walk to the Sky Train station and a short stroll to the venerable Chao Phraya River. The Dome, located on the top floors of the State Tower, features an array of award-winning dining options, including a stunning alfresco restaurant with dramatic views of the cityscape and the glittering Dome, in addition to seven other upscale gourmet venues. Chefs from the Dome restaurants can also showcase their culinary skills in the suites for private dining. Fitness facilities include a gymnasium, sauna, outdoor swimming pool, Jacuzzi, and massage rooms. lebua at State Tower was recently listed in the Pure Decadence Listing of The 101 Best Suites in the World by Elite Traveler Magazine, USA and chosen as Asia's Leading Design Hotel by World Travel Awards 2008. 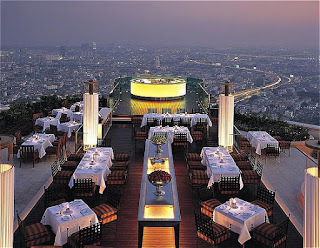 "A perfect fit for the brand, lebua at State Tower marks our first Preferred Hotels & Resorts brand in Bangkok. A luxury all-suite accommodation with superb facilities, the hotel will offer a unique product to our Asia portfolio," said Mark Simmons, Area Managing Director, Asia. Nestled on a secluded peninsula, 15 minutes from Rotorua city and 45 minutes by air from Auckland, the exclusive Lake Okareka Lodge can be reached by helicopter or floatplane. Surrounded by the lake's pristine water and New Zealand's renowned green landscape, the stylish 7,072 square foot lake house has three luxury suites - booked to only one group at a time for up to nine guests. This gated estate features a private jetty and boathouse, private beach, and a helipad. Activities range from fishing, watersports, golfing, mountain biking, visiting the nearby crystal springs or simply relaxing with a massage in the lodge's massage room. Lake Okareka Lodge was recently listed in the Pure Decadence Listing of The 101 Best Suites in the World by Elite Traveler Magazine, USA and chosen as New Zealand Leading's Luxury Lodge by World Travels Award 2008. "The Lake Okareka Lodge represents the essence of the Preferred Boutique brand - a distinctive travel experience with a personality on an intimate scale," said Lynne Ireland, Managing Director of Preferred Boutique. "At lebua, we believe in challenging the existing norms of luxury and offering our guests memorable moments that they can cherish. We are proud to be a part of the Preferred Hotel Group, which appreciates quality with the same zeal that we pursue excellence," said Deepak Ohri, Chief Executive Officer of lebua Hotels and Resorts. Celebrating 40 years of excellence, Preferred Hotel Group is a global leader in the hospitality industry, delivering high-performance sales, marketing, and technology solutions to more than 650 independent hotels and resorts in over 75 countries. Its family of brands represents a collection of the finest hotels in the world and include: Preferred Hotels & Resorts (www.PreferredHotels.com), Preferred Boutique (www.PreferredBoutique.com), Summit Hotels & Resorts™ (www.SummitHotels.com), Sterling Hotels™ (www.SterlingHotels.com) and Historic Hotels of America™ (www.HistoricHotels.org). For more information, please visit www.PreferredHotelGroup.com. In September 2007, the company entered the luxury real estate market with the launch of Preferred Residences™ - a membership and exchange program for luxury shared ownership resorts that provides an exceptional level of service and amenities. Properties are held to exacting standards derived from the same Preferred Global Standards of Excellence™ on which the company has built its 40-year heritage in the hospitality industry. For more information, please visit www.PreferredResidences.com. Miami, FL, August 25, 2008 – Oceania Cruises is pleased to announce the introduction of the 2009-2010 Winter Collection of sailings to Asia, Australia, South America, the Caribbean and Mexico. The most diverse collection to date with 18 distinct itineraries, Regatta, Insignia and Nautica will sail an enticing array of 24 voyages which range from 10 to 40 days in length and feature more than 40 overnight port stays. In the tradition of offering extraordinary value, all of our 2009-2010 Winter Collection itineraries offer a limited-time introductory offer of Free Round-trip Economy Airfare and 2 for 1 Cruise Fares that begin at just $1,499 per guest. "Destination rich itineraries have always been our hallmark and this new collection introduces new destinations and itineraries that will have great appeal to both our loyal repeat guests and first-time guests alike," stated Bob Binder, President of Oceania Cruises. With an abundance of overnight calls, more than 40 in total, guests will have more than ample time to immerse themselves in the destinations called upon. A comprehensive program of excursions and overland tours afford the opportunity to experience the most intriguing historical, cultural and natural wonders. Angkor Wat, the Taj Mahal, Iguaçu Falls, Copper Canyon and the Galapagos Islands are just a few of the spectacles that await on these magnificent journeys. Featuring new itineraries and an even richer mix of destinations, Oceania Cruises' Winter Collection spans the globe. From the Sea of Cortez to India, Asia and the Far East, Oceania Cruises showcases the world's most alluring port of call. In addition to the ever-popular 25-day Amazon Adventure that sails round trip from Miami, Oceania Cruises has added two new long voyages to the roster of sailings. The new 40 day Grand Circle of South America sails from Buenos Aires to Rio de Janeiro and showcases the continent in its entirety. Coquimbo, Callo, Salaverry, Manta, Fuerte Amador and Fortaleza add new spice to the stellar line-up of South American ports. Nautica's winter transit to Asia has been extended to 40 days and now includes Israel and Egypt along with the best of Turkey, India, Arabia and Asia. Highlights include Three days in Israel, Salalah, Muscat, Abu Dabi and 3 days in Dubai. Five days in India affords multiple opportunities to explore Goa, Bombay and the Taj Mahal. "Our long voyages to Asia and the Amazon have proven exceptionally popular and our guests and travel partners have expressed a great deal of interest in a similar itinerary that explores South America. This new circumnavigation of the continent offers the opportunity for a leisurely exploration of this magnificent continent in its entirety," added Binder. • 40 day Istanbul to Singapore voyage includes Israel and Egypt along with the best of Turkey, India, Arabia and Asia. The limited-time offer of FREE Airfare from more than 100 gateways and 2 for 1 Cruise Fares expires December 31 2008, and stateroom and suite availability on many voyages is already limited. Consumers and Travel Agents may reserve their voyage online at OceaniaCruises.com or by calling 800-531-5658. Oceania Cruises®, a Prestige Cruise Holdings company, is the world's only upper-premium cruise line and offers a unique combination of the finest cuisine at sea, luxurious accommodations, exceptional personalized service and extraordinary value. As the leader in destination cruising, Oceania Cruises sails to more than 180 ports in Europe, Australia, New Zealand, Asia, South America, and the Caribbean. Featuring three intimate and elegant mid-sized ships, Regatta, Insignia and Nautica, the line will introduce two new mid-size Oceania Class ships to its award-winning fleet in 2010 and 2011. For additional information, to make a reservation, or to order a brochure, please contact your Travel Agent or Oceania Cruises at 800-531-5658. Visit us at www.OceaniaCruises.com. Prestige Cruise Holdings (PCH) is a subsidiary of Apollo Management L.P. and the parent corporation of Regent Seven Seas Cruises and Oceania Cruises. Formed in 2007 to manage select assets in Apollo Management's cruise investment portfolio, PCH is led by Chairman and Chief Executive Officer Frank J. Del Rio, the founder of Oceania Cruises. PCH is the market leader in the Upper Premium and Luxury segments of the cruise industry with more than 4,450 berths between the Regent Seven Seas Cruises and Oceania Cruises brands, a number the company expects will grow to more than 6,700 berths by 2011. Peregrine Adventures is offering a special deal on its 12-day Cape York – Top of Australia tour – a classic 4WD overland journey to one of the world's last great wilderness areas at Australia's most northerly point – departing from Cairns on October 9, 2008. When two people book this departure, the second receives 25 per cent of the tour cost – a saving of $1173 per couple off the regular price. Bookings must be made and paid for by September 6. Starting in Cairns, the trip makes its way via the Daintree Rainforest and Bloomfield Falls to Cooktown and explores the wetlands and grasslands of the vast Lakefield National Park. Merluna Station is the real deal - a far-north Queensland cattle station where the group stays in renovated stockmen's quarters and has the opportunity to get involved in station activities. The tour then heads to Mapoon, for two days working alongside the Aboriginal landowners on the Cape York Turtle Rescue program. Following the old Overland Telegraph Line north is one of the world's top four-wheel drives, crossing numerous creeks to arrive at Punsand Bay, the base for the final three-hour trek to the tip of Australia. The Cape York – Top of Australia tour costs $4690 plus a $400 conservation contribution to the Cape York Turtle Rescue program for the first traveller, and $3518 plus the $400 conservation contribution for the second traveller, land only on a twin share basis. It includes a Peregrine tour leader/driver, local guides, transport, accommodation, most meals and entrance fees. Conditions apply. For further information, contact your travel agent or Peregrine Travel Centre on 1300 854 500 or visit www.peregrineadventures.com. Approximately 16 degrees south of the equator you'll find a place where the rainforest meets the reef. Tropical North Queensland is the ultimate family escape these September school holidays. Skim across six shades of blue on a tropical 10 knot breeze, or immerse yourself in the beauty of one of the world's natural wonders, the Great Barrier Reef. Explore waterfalls shaded by a green ancient canopy, where the chatter of wildlife is matched only by the laughter from your family as you create memories that will become the stories they'll someday share with their own children. Discover the exact point where only you and your family exist in Tropical North Queensland. Change your latitude. An additional 1.4% Credit Card Service Fee will be applied to the dollar amount paid by credit or charge card. For availability, prices and bookings, call Qantas Holidays 1300 HOLIDAY. Rendezvous Hotels & Resorts International (Rendezvous) has announced the expansion of its current partnership with Choice Hotels Australasia (Choice). Rendezvous will more than double the number of its hotels aligned with the Choice Clarion Collection brand, growing from five in 2003 to 11 by the end of 2008. Rendezvous and Choice have enjoyed a strong partnership for nearly five years. The expanded arrangement is a strategic move in line with Rendezvous’ strong expansion program, which will see the group operating 19 hotels in six countries by the end of 2009. Their association with Choice provides Rendezvous with a far reaching distribution channel network, through global connections, consortia partnerships and the extension of their own sales team with the Choice Sales team of 12 based around Australia, New Zealand and London. Choice provides additional significant benefits for Rendezvous including key account sales management, professional call centre reservations and exposure through Choice’s global marketing initiatives including website, directory and the Choice Privileges loyalty program. Due to excellent snow conditions the 2008 Mt Buller winter season will be extended until Sunday October 5, 2008. The one-week extension will provide snow-loving families with an added opportunity to ski right until the end of the Victorian school holidays. Snowfalls within the last week have bumped up Mt Buller's average natural snowdepth to over 120cm and well over 160cm in snowmaking areas! With such a solid snow-base around the resort, conditions in September look like they'll continue to be great with plenty of sunshine and snow around for skiers and boarders. Laurie Blampied, general manager of Buller Ski Lifts said that it was with great pleasure he was able to announce the extension, as the decision was based on excellent snowdepth and more forecasted snowfalls. "Mt Buller's snowdepth should see us through to the first Sunday in October, which is fantastic for our guests and the mountain. Spring is a great time to be skiing with so much sunshine around, and with plenty of snow on the ground we should have some of the best end-of-season conditions possible! "There are some fantastic, fun-filled events and great deals in September which makes it the ideal time to discover skiing and bring the family to enjoy the resort before the winter season closes. "Holiday packages are still available for this time, and the shoulder season booking rates are significantly lower than those in peak season – it's a great place to be during Spring!" Thai Airways International's Special Mid-Week Promotional Fares to Bangkok are now on sale until 30 September 2008, travel until 18 Sep 2008 and 10 October 2008 to 20 November 2008. Depart on a Tuesday, Wednesday and Thursday from Sydney, Melbourne and Brisbane for fares starting from $1,186* per person return including all taxes and charges, travel in economy class. Fares from Perth from $1,045* return including taxes/charges. *All fares quoted are for travel in 'W' booking class and include taxes and surcharges, correct as at 18 August 2008. Seats are limited at the fares shown and are subject to availability and travel on specific flights and dates. Special fares are also available in higher bookings classes (V, Q, H, M, B, Y) and airfare surcharges will apply. Frequent flyer points are not accrued for travel ticketed in W or V class. Contact travel agents for more information and bookings. THAI flies 40 times a week from Australia to Bangkok : 3 times a day from Sydney, twice daily from Melbourne, daily from Brisbane and 5 times a week from Perth. All flights from Sydney, Melbourne and Brisbane are operated with Boeing 777-200ER or 777-300 aircraft, each with a 2-class Royal Silk Business and Economy Class configuration. All seats are equipped with personal entertainment systems and the latest in-seat comforts and facilities. Every passenger will experience unobtrusive and individual attention with complimentary drinks, imported wines, cognac, new-release movies and generous seat pitch for extra leg room. There's also a choice of main meals, including a selection of Thai or international dishes and beverages available throughout the flight. There's never been a better time to escape to Thailand….and cosmopolitan Bangkok is the ideal place to start. Thailand's premier city is respecting the traditions of it's guilded past and embracing all that is new in international trends and technology. There's a host of activities to choose from…sightseeing along the Chayo Praya River by long tail boat or rice barge; explore the myriad of shopping malls and markets via Skytrain or taxi; a fun day out at a theme park or zoo; relax with a sunset cocktail in a choice of riverside or roof-top bars before dining at any one of the array of local and international restaurants dotted all over the city. The Australian dollar offers exceptional value for travellers to Thailand, particularly for families and shoppers on the hunt for a bargain. Many hotels offer bonus free nights throughout the year but particularly during the May to October low season period. Ecruising.travel has a 16-night cruise/fly package from Sydney to Tahiti later this year on the luxury Sun Princess, with cruising in full-view Balcony Cabins at $1800pp below previously advertised prices. It's package on October 21 now starts from $3149pp twin-share, compared with an original $4949pp, including the 12-night cruise with balcony-to-horizon views, four nights in Papeete at the Tahiti Intercontinental, all transfers in Papeete, and air back to Sydney*. 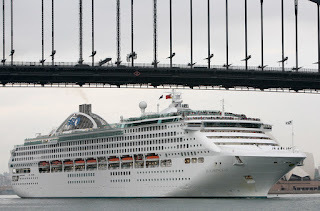 Sun Princess will visit Noumea, Nuku'alofa, Vava'u, Rarotonga and Raiatea on her way to Papeete. She features a choice of formal or informal dining, a steakhouse and 24-hour buffet, three pools, two show lounges, a cinema, casino, spa and gym, sports court, virtual golf simulator and 24-hour internet café. For full details phone 1300 369 848 or visit www.ecruising.travel *Air taxes and fuel surcharges applicable at time of booking are additional. The 5 star luxury JW Marriot Hotel Shanghai provides an unparalleled meeting and event experience both in terms of its cosmopolitan setting and the world-class service it offers. From now until the end of August 2008, the hotel is offering an amazing deal on meeting package rates for meeting planners. Packages start from just RMB580+ per person (minimum 10 delegates) including room hire, individual fresh fruit platter on arrival, free flow of coffee and tea throughout the meeting hours and a light lunch. The hotel will also provide bottled mineral water, mints, pen and writing pads. Basic audiovisual equipment with projection screen, LCD, flipchart, and whiteboard are also included within this package. Room rates for meeting delegates for this package start from CNY1200+ (minimum of 10 rooms), throughout June, July and August. This represents a saving of up to 50% off the normal meeting room rate. This unbeatable value meeting package can also earn meeting planners double 'Marriott Rewards' points until July 31, 2008. The special 'Group Value' Marriott Rewards promotion applies to groups with a minimum 10 rooms per night. Marriott Rewards points can be redeemed for free room nights, upgrades as well as special travel packages. Rewards points can also be claimed for catering events such as banquets and weddings. Towering 60 storeys as the tallest hotel in downtown Puxi, the JW Marriott Hotel Shanghai is conveniently located in the power centre of Shanghai's commercial district, one block from People's Park, People's Square, Shanghai Grand Theatre and Shanghai Museum of Fine Arts. The JW Marriott Hotel Shanghai features 12 meeting rooms and 1,231 square-metres of conference rooms and event floors complete with the latest audiovisual technology and a committed team of conference planning specialists. The spectacular architecture allows guests the luxury of choosing from a range of versatile meeting and banquet rooms all with stunning views of the city. The unobstructed rectangular JW's Ballroom measures 600 square-metres, with a ceiling height of 6.6 metres. It is divisible into three sections to accommodate smaller workshops within the context of a larger event. The foyer and terrace off from the grand ballroom overlooks the scenic People's Park and traditional clock tower. Measuring a spacious 676 square-metres, this area is an ideal venue for cocktails, coffee breaks, barbecues and exhibitions. The hotel also has the advantage of a junior ballroom, seven meeting rooms and four function rooms with natural sunlight, all suitable for small to medium size meetings. For smaller boardroom style meetings there is also the option of the hotels' 60th floor library which has received the accolade of the "World's Highest Library" from Guinness World Records. The library offers a unique and intimate setting for up to 20 guests. Marriott hotels has also designed an on-line tool for meeting planners which enables them to book between 1- 25 rooms on line and receive a custom made rooming list. The creative food and beverage team at the JW Marriott Hotel Shanghai can also design specialized themed coffee breaks. Whether your request is to include the company logo or packages that reflect the spirit of the surrounding city such as 'fruits of the park'; 'Shanghai spirit'; and 'cocoa explosion' are just a few of the themes available. The hotel not only caters for events within the hotel but has also gained a reputation for exceptional outside catering including catering for 2,400 guests at an event at the Shanghai Convention centre. Other events include Mont Blanc's gala dinner, Formula One and Mercedes Benz. MARRIOTT INTERNATIONAL, INC. (NYSE:MAR) is a leading worldwide hospitality company with nearly 2,600 lodging properties in the United States and 68 other countries and territories. Marriott International operates and franchises hotels under the Marriott, JW Marriott, The Ritz-Carlton, Renaissance, Residence Inn, Courtyard, TownePlace Suites, Fairfield Inn, SpringHill Suites and Ramada International brand names; develops and operates vacation ownership resorts under the Marriott Vacation Club International, Horizons, The Ritz-Carlton Club and Marriott Grand Residence Club brands; operates Marriott Executive Apartments; provides furnished corporate housing through its Marriott ExecuStay division; and operates conference centers. The company is headquartered in Washington, D.C., has approximately 129,000 employees, and was ranked as the lodging industry's most admired company and one of the best places to work for by FORTUNE®. For more information or reservations, please visit the web site at www.marriott.com. The world’s first Grand Prix night race - the inaugural 2008 Formula 1TM SingTel Singapore Grand Prix - is just a few twists and turns away, with the action kicking off after dark on 28 September. A packed three-day schedule of fast cars, amazing action, fantastic fireworks, sizzling nightlife and entertainment will begin on September 26 – two days before the race itself roars through the heart of the Lion City’s downtown Marina Bay district. The challenging 5.067km street circuit features a number of complex corners and overtaking opportunities, and being a new track, it really will be anyone’s race. Expect to see the streets of Singapore come alive not just with sleek and slick race cars but the city’s restaurants, bars and clubs will be hopping with a fun-loving, thrill-seeking crowd making the most of the heady mix of sun, speed and spectacular sport. And because the event is being staged at night, Mr Kevin Leong, Regional Director Oceania Singapore Tourism Board, said visitors would feel like they’re part of a huge outdoor party both trackside and among the glittering lights of the waterfront Marina Bay precinct. “This is an incredibly exciting event for Singapore, as well as an enormous milestone within the racing world. Interest has been phenomenal, and we’re expecting to host fans from around the world, from devoted GP enthusiasts and celebrities, to high-flying executives and also families,” said Mr Leong. And with key cultural festivals, fringe activities and signature events in Singapore throughout September and October, the opportunities to combine the GP with a Singaporean soujourn is more attractive than ever. Central Queensland's Bundaberg region is fast becoming a hotspot for those keen to check out the underwater scene. With some of the best shore diving in Australia, coral diving on the Great Barrier Reef, handy access to Brisbane (a 55 minute flight or four-hour drive) and great value accommodation, it's no surprise diving is attracting increasing numbers to Bundaberg and the Southern Great Barrier Reef. Whether you join a four day PADI-certified course from as little as $219, jump aboard a dive cruise or simply don your snorkel and flippers, every diving desire is catered for in the region - and it won't break the hip pocket either. The three main locations for diving in the region are Bargara, Lady Elliot Island and Lady Musgrave Island – all of which boast the rare opportunity of diving straight off the beach. Bargara, just 15km east of Bundaberg, is the jump-off point for many of Bundaberg's dive operators. The variety of offshore reef and wrecks means the laid-back coastal region is consistently rated as one of the top 10 shore diving locations in the country. Most of Bargara's facilities and attractions from camp sites, to resorts and restaurants are all within easy walking distance. Why not stop in at Kacy's Bargara Beach Motel for some Moreton Bay bugs and prawns straight off the trawler or an icy-cold draught beer after a hard day's diving? Or grab some fish and chips or a burger from BradLees Takeaway and head down to the beach. Dive options in Bargara include Bargara Beach Dive and Bundaberg Aqua Scuba. Bargara Beach Dive owner Jack Stanton said the best thing about diving in the area is the diversity of the Southern Great Barrier Reef and how easily accessible the world class reef and wreck dive sites are. "There's no long boat rides to get out to the reef, which means more time exploring below the surface rather than getting there and back," Mr Stanton said. "What you see on a dive is different every day, but just some of the highlights are the giant gropers, eagle rays, manta rays, about four different varieties of turtles and loads of different species of sharks," he said. The wrecks have been settled for long enough now that high quality coral is growing on them as well. Another option is Cochrane Artificial Reef, created from old barges and aeroplanes, and teeming with marine life. Heading a little further off shore, destinations like the Fitzroy Reef Lagoon, Lady Elliot and Lady Musgrave Islands never fail to impress. These are the jewels of the Southern Great Barrier Reef and offer some of the least spoilt and colourful corals in the world due to having no Crown of Thorns and coral bleaching. Local operator Dive Musgrave operates tours and courses in the area, and owner George Christensen knows the area better than most with more than 60 years experience diving at Lady Musgrave. "As a kid I used to catch a ride with my friends out to Lady Musgrave to camp and dive and then we'd just wait for another passing trawler to hitch a ride back home," George said. Today George is the skipper of the Venus II, taking divers and anglers on trips of up to three days to plumb the depths of the reef. A lesser known diving hot spot in the area is Woongarra Marine Park, which hugs the region's coastline and is a veritable diving paradise. Unusually for an area so close to shore, Woongarra is home to many species usually found on the outer reefs like whales, turtles, rays, corals moray eels, nudibranchs and giant gropers. So whether you're an experienced diver or just starting out, the Southern Great Barrier Reef and Bundaberg region is a great alternative to the northern reef experiences and offers something for everyone to enjoy. Qantas flies direct to Bundaberg from Brisbane daily. Qantas, Virgin Blue and Jetstar can connect from any major Australian city. Take the Tilt Train to Bundaberg enjoying the six-hour journey in complete comfort, or catch a comfortable Greyhound-Australia coach. Succumb to the temptation and fly into 2009 with Air Tahiti Nui's range of early bird fares from major Australian cities to Tahiti. The international airline of Tahiti and her islands today introduced return economy fares from Sydney to Papeete from AUD$635 plus taxes of approximately $362, for travel between 15 January and 31 March 2009. "This year is flying by, so now is great opportunity to get in early for your summer break and take advantage of these competitive airfares to Tahiti and her islands," said Craig Lee, Regional Director Australia for Air Tahiti Nui. Air Tahiti Nui has recently been named for the sixth consecutive year "Best Pacific Airline" and "Best Cabin Crew – Pacific" in the annual Skytrax awards for airline excellence. Bookings can be made until 15 September. From Melbourne, Brisbane and Canberra fares start at AUD$862 plus taxes, Adelaide from $998 plus taxes, Cairns from $1237 plus taxes, Darwin from $1317 plus taxes and Perth from $1351 plus taxes. Air Tahiti Nui offers two weekly nonstop flights from Sydney to Papeete, taking approximately seven hours. For more information or to book please visit www.airtahitinui.com.au. Off-the-beaten-track tour specialists Far Horizons have a 28-day escorted tour to the far western islands of the Indian Ocean and to East Africa next July, that will transport guests from a one-time world of grand colonial extravagances into one of modern-day holidaying indulgences. At the same time, animal-lovers will have a rare opportunity to see unique species found nowhere else in the world but here… while for those with a passion for food there will be an opportunity to taste an eclectic mix of dishes from Creole to those influenced by exploring Portuguese, French and Dutch. This unusual tour that takes-in Mauritius for 2-nights, the Seychelles 3-nights, Zanzibar 2-nights, Mozambique six, Madagascar twelve and Reunion 2-nights, will depart Australia on July 14 2009. Highlights will range from modern-day tourist hot-spots to crumbling one-time colonial trading centres of forts, clubs and palaces, ghost towns, rum distilleries, old sugar mills, the so-called one-time "Paris of Africa," colourful markets and artisan centres, and gardens of tropical plants, spices and grape vines rising from balmy coastal beaches to cool mountain hill-stations. The unique lemur, rare black parrots and giant tortoises will be amongst wildlife found along the way, with local transport ranging from air to ox-cart. While there are ski regions throughout the state perhaps the best known areas can be found at Lake Tahoe, Mammoth and Big Bear. North Lake Tahoe alone has 12 resorts, giving it the highest concentration of ski resorts in North America. Only four hours drive from San Francisco, ‘the Big Blue’ as Lake Tahoe is affectionately known is an astoundingly beautiful but also very comfortable place to ski. The benefits range from the average 10-metres of snow and 300 days of sunshine annually – more than San Diego. At an altitude of 1,900 metres it is an easy environment to acclimatise to meaning skiers won’t feel they are in the ‘nose-bleed’ section. Lake Tahoe enjoys a long ski season – resorts are open from December sometimes right through to April. One thing all visitors to the region comment on is the beauty of the lake – a federally protected lake known for its crystal clear water and vivid blue hues. The second deepest lake in the United States it never freezes over with the effect being skiers and boarders often feel like they are skiing right down into the lake. The Australian snowfields are coming off one of the best seasons in years, so for those needing an extra hit of the white stuff this year now is the time to get in and book a trip to the California skifields. HONG KONG – August 2008 – Immerse yourself in authentic culture and local cuisine with Summit Hotels & Resorts, a highly-acclaimed collection of international hotels and resorts offering first-class amenities and services for the sophisticated traveler. Summit Hotels & Resorts are offering a tempting array of culinary packages for those who wish to travel and taste the world. Taste of Summit tantalizes taste buds with deluxe packages that highlight local produce and regional specialties, together with authentic cooking techniques and unique culinary styles. Epicureans can delight in these delectable offers, which include daily breakfast and a dinner for two at participating properties. The Metropolitan is perfect for exploring the hustle and bustle of New Delhi. With well-appointed suites and rooms, 24 hour concierge and great gastronomy, guests can mix a serene stay with the vibrant vibe of New Delhi. For exotic spices and rich curries with hot peppers and delicious home-grown vegetables, Chutney restaurant serves authentically Indian cuisine with a modern and exotic twist – with over 200 types of home-made chutneys using rare fruit, vegetables, and herbs. Luscious blue-green waters, rainbow-colored fish, white sandy beaches – find paradise at The Tongsai Bay. 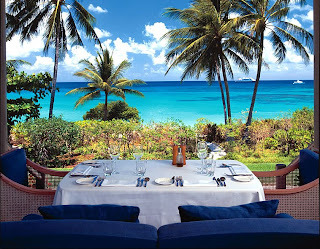 This idyllic retreat features stunning beachfront cottages and villas set amid lush tropical gardens. Chef Chom who has taught over 500 chefs and cooks, now graces the Tongsai Bay with her culinary skills - serving fresh platters of prawns, crab, and sea food delicacies with Thai flavors and spices. Situated in the heart of this exuberant city and overlooking Sydney harbor, the acclaimed Star City Hotel and Apartments welcomes guests with an elegant array of penthouses and apartments. Take advantage of world-class opera and theater each night, and sample tasty flambéed steaks and grills, and for the adventurous traveler – maybe a kangaroo burger. Home to many of the world’s most acclaimed chefs, fine foie gras and vintage vin rouge – France is a foodies dream destination and the cuisine is par excellence at the Hôtel Gray D’Albion. Guests are invited to relax in style at this stunning French Riviera retreat, and embrace magnificent Mediterranean cuisines of freshly grilled fish, French cheese and fresh vegetables à la provencale, all served overlooking azure-blue waters. This five-star hotel is paradise by the sea. Hotel Parco dei Principi boasts exquisite guestrooms with spectacular ocean views, a private beach, and fabulous Italian Mediterranean cuisine served at restaurants Gio Ponti and La Spiaggia. Freshly caught sea food is delicately served alongside wafer-thin pizza drizzled in local olive oil and accompanied by a drop of full-bodied fruity Montepulciano. Positioned in the leafy Back Bay quarter amid charming boutiques and fine-dining bistros, the newly renovated Colonnade features the city’s only rooftop swimming pool, beautifully appointed guestrooms and great gastronomy. Brasserie Jo serves authentic French cuisine using local organic produce, fresh fish and tasty dishes à la carte such as Steak Tartare and Coq au Vin - and all prepared by world-renowned chef Jean Joho. Taste of Summit packages vary according to hotel. Complimentary room upgrade and amenity is provided to American Express® Cardmembers who guarantee and pay their Taste of Summit reservation with the American Express Card. Two-night minimum stay required. Valid at participating Summit Hotels & Resorts until December 31, 2008. Additional terms and conditions apply. An acclaimed collection of international hotels and resorts, Summit combines top-tier service and amenities with great value, delivering an exceptional guest experience – allowing travelers to get the most from their destination whether they are staying for business or pleasure. Summit Hotels & Resorts is a member of the Preferred Hotel Group™ family of brands, and guests are eligible to enroll in the I Prefer™ Guest Benefit Program, with benefits including free Internet access (based on availability, restrictions apply), early check-in/late check-out, space-available upgrades and more. For reservations and a complete description of the Summit Hotels & Resorts, visit www.summithotels.com. Club Med hosted an intimate function for trade partners on Monday night to celebrate the company’s success in the Asia Pacific region with visiting CEO, Henri Giscard d’Estaing. The company has spent US$1.5 million on renovations across its Asia Pacific portfolio since 2004, in an attempt to re-launch resorts as a more upmarket product offering. The extensive renovation programme has also been extended to create new ‘5 Trident’ rating resorts, the closest one in Mauritius, and has caused the closure to five of its properties. “We are targeting families and couples who want upscale, all-inclusive and multicultural holidays and aiming to provide a broad range of choice to suit a variety of tastes,” Mr Giscard d’Estaing said. General Manager, Australia, Heidi Kunkel announced company plans for its Bali property, which will undergo renovations and re-open in December as its new flagship resort for the region. When re-launched, the 4-Trident Club Med Bali in Nusa Dua will offer a wider variety of room choices including lavish suites and an extensive Mandara Spa with 12 treatment rooms. “The product offering is something unique and special. We will offer the best value for money and the best kid’s club facilities,” she said. Over half a million Australians have visited one of 80 Club Med resorts around the world since 1975 when its office opened in Sydney. Mr Giscard d’Estaing said the company was founded after the Second World War “when humanity did the worst things and where the generation wanted to create happiness through nature and sport”. "For the 3rd time in 10 years, Singapore Airlines has been named World's Best Airline, winning the 2008 Airline of the Year title in the latest World Airline Awards" said Edward Plaisted (CEO of Skytrax). "We extend our congratulations to them for this notable achievement, coinciding with the time that Singapore Airlines was the world's first airline to fly the Airbus A380." Singapore Airlines also collected the Award for Best Business Class in a very competitive section of the survey. "Business Class standards continue to be upgraded by airlines across the world, and Singapore Airlines managed to retain their title amidst this growing level of competition" said Edward Plaisted. "It is the whole business class package that is evaluated, from airport lounges, ground services to the quality of cabin seating, inflight entertainment, catering and of course the cabin staff service." CEO of Singapore Airlines, Mr Chew Choon Seng said ""We thank our customers who have supported Singapore Airlines once again. We are honoured to receive this award for the second year running. However, we take nothing for granted in our business. This award will inspire every one of us in the company to work harder to exceed our customers' expectations." Cathay Pacific takes 2nd place overall in the 2008 Awards (up from 3rd in 2007), and picks up the Award for World's best First Class, giving due recognition to their new onboard 1st Class product and service concept. Cathay Pacific Chief Operating Officer John Slosar said "We are excited about receiving the Best First Class honour, which highlights the strength of our new cabin design as well as the superior service provided by our cabin crew. For the premium market you have to provide something that really stands out from the crowd, and with our new First Class – designed with the right balance of personal attention, interaction and privacy - we believe we’re providing a travel experience that exceeds all expectations." Qantas is ranked 3rd worldwide (5th in 2007) and collects the Award for Best First Class Lounge - achieved in a period where the airline has seen competition ramped up both in its domestic and regional market. "The global rating for Qantas is interesting" says Edward Plaisted. "When we look at more localised studies, reporting etc, we found that Qantas comes under fire from some media that clearly contradicts a more widespread view of Qantas customers that voted for the airline in the survey. We do find that many countries flag-carrier airlines suffer fairly vitriolic levels of reporting in their local regions, and the airline industry remains a business that some areas of the press seem to love-to-hate!" "Another closely contested Survey category, the Best First Class Lounge Award is a true recognition of top-end quality being delivered, and Qantas have set a clear benchmark with their First Class facilities at Sydney Airport. This lounge in Sydney is the flagship for Qantas. Designed by Australian Marc Newson, the lounge concept for both product and staff service has been modelled around the finest quality you would expect to find in a 5-star hotel or restaurant, and the best part is that the concept is being so well delivered by Qantas" added Plaisted. Thai Airways maintained a strong ranking, placed 4th worldwide (2nd in 2007) together with picking up 4th place in the Best Cabin Staff section of the Awards. Asiana Airlines was one of the biggest improvers across the 2008 results, ranked 5th worldwide (up from 12th in 2007), as well as taking the sought-after World's Best Cabin Staff Award and also collecting the Award for Best Economy Class. "This is clearly an airline on the move upwards" says Edward Plaisted. "Smaller than it's national counterpart Korean Air, Asiana Airlines are developing an ever-increasing level of customer support, achieving some of the highest levels of customer satisfaction across today's airline industry. Some innovative cabin service concepts clearly contribute towards their success, but it is more apparent that Asiana Airlines is gaining a worldwide reputation based on the concept of superb customer service." Malaysia Airlines ranked 6th worldwide (as in 2007), and was also the very close runner-up for the title of World's best Cabin Staff. "Repositioning itself during 2007 as the 5-star value carrier, we see it as a real achievement for Malaysia Airlines to have retained it's high global ranking. For them not win the Best Cabin Staff award is naturally a disappointment, although their hold on that particular award does occasionally have to be relinquished!" said Edward Plaisted. Qatar Airways is another 5-Star airline achieving a top-10 ranking (placed 7th worldwide), and collecting the Award for Best Airline and Best Cabin Staff for the Middle East region, as well as the Best Business Class Catering category. The results continue to recognise Qatar Airways ambitious efforts to provide passengers with the best onboard service in the global aviation industry, according to Qatar Airways Chief Executive Officer, Mr Akbar Al Baker, "we place an emphasis on providing the best quality product and service for our passengers, and to have our customers recognise Qatar Airways' efforts in these awards is very satisfying. For an airline that is barely a decade old, we have already achieved phenomenal success. However, Qatar Airways will continue to strive further ahead to reach our ultimate goal of being voted Best Airline in the World. Recognition must also be given to the airline's staff, who are committed to delivering the best levels of service in the skies. It's their efforts which ultimately determine how the airline is judged" added Al Baker. Air New Zealand is ranked 8th worldwide (7th in 2007), and also collects the 2008 Award for Best Airline Transpacific, ahead of Qantas in that category. Emirates maintained the same ranking as last year, placed 9th worldwide and offering clear recognition of the airline's aggressive marketing and growth policy. "Echoing the trend of Dubai where everything now has to be the biggest, it is undeniable that Emirates is well recognised around the world" says Plaisted. "Such growth is never an easy time to maintain quality levels, but Emirates has managed to maintain its global rating this year, and can now use its Airbus A380 aircraft to try and impress passengers in the coming year." "Four must be a lucky number for Emirates, as they pick up the Award for Best Airline Inflight Entertainment for the 4th year in succession. This was another very hotly contested section of the World Airline Survey, and we witnessed the closest finish ever in terms of Emirates final push for 1st place ahead of Singapore Airlines in 2nd. We congratulate Emirates for retaining their distinctive reputation in this Survey category, and determination to remain at the forefront of inflight entertainment concepts" added Plaisted. Patrick Brannelly, Emirates VP Passenger Communications and Visual Services, said "to win this award for the fourth consecutive year is a fantastic achievement, proving yet again that Emirates’ significant investment in the inflight entertainment product is appreciated by our customers. We also make significant investments in the latest technology to ensure our passengers enjoy not only the widest range of entertainment, but also the capacity to communicate with family and friends on the ground." A new entrant to the world's Top-10 airlines is Abu Dhabi based Etihad Airways, securing 10th position in the 2008 Awards. Following in the footsteps of Emirates and Qatar Airways, Etihad Airways is continuing it's rapid expansion with new route openings and aircraft acquisitions, and is delivering a high quality product and service offering to passengers. A repeat win was achieved by Virgin Atlantic in being named winner of the Best Business Class Lounge Award, having secured the title in 2007 for their Clubhouse facility at London Heathrow Airport. Steve Ridgway, Chief Executive of Virgin Atlantic said "We’re thrilled that our Heathrow Clubhouse has been chosen as the world’s best haven for business travellers for the second year running. This confirms that our Clubhouse is a real winner with our Upper Class passengers and with the new private security corridor they can now get through to it in record time! Thank you to everyone who voted for us." Cathay Pacific win the Best First Class Onboard Catering Award, with their new First Class concept clearing being a success with customers. In the year that Austrian celebrates it's 50th anniversary, the airline has another honour to mark the achievement, winning the Award for Best Business Class Onboard Catering for the second year running. Austrian has developed a very strong reputation amongst customers for the high standards of long-haul business class catering, and their gourmet cuisine prepared by Do & Co continues to impress. Qantas was named winner of the Best Economy Class Onboard Catering Award, based on their longer haul, international operations. Dragonair was named Best Regional Airline SE Asia - the first time the carrier has won in this category. "It is a great honour for the airline to receive this award. It shows that Dragonair is being recognised not only in Mainland China - our key market - but also in Southeast Asia. This is a resounding recognition of our product and service quality both inflight and on the ground. Credit must go to all our staff for working to provide the very best service experience," said Dragonair Chief Executive Officer Kenny Tang. CSA Czech Airlines celebrate being named as Best Airline Central Europe for a consecutive time, as well as picking up the Award for Best Cabin Staff Central Europe. Czech Airlines President, Radomír Lašák, commented on the award "We very much value our placement in the World Airline Awards ranking, as these honours are awarded on the basis of the votes of millions of passengers from all over the world. The fact that Czech Airlines has maintained its position as the leader in the region, even at a time when a cost crisis is crushing the entire aviation sector, shows that the present situation has no impact on the quality of Czech Airlines’ services and product." "A strong performer in earlier year Surveys, 2008 is the time for easyJet to truly celebrate as they walk off with the accolade as World's Best Low-Cost Airline" said Edward Plaisted. Commenting on the award, easyJet CEO, Andy Harrison said "It is an honour to be receive the 2008 award. We have an ambition to be recognised as the world's best low fares airline and the global nature of the SKYTRAX survey makes this a very important milestone for us." Amongst other Awards to low-cost airlines, Air Arabia was named Best low-cost airline Middle East for the second consecutive year. AK Nizar, Head of Commercial at Air Arabia, said "We are extremely pleased to have been named Best Low-Cost Airline in the Middle East in The Skytrax World Airline Awards 2008. Winning this award for the second consecutive year reinforces our commitment to quality and excellence in customer service. This award is especially significant as it is based on the feedback of our passengers" he added. Extraordinary, dry snow, upside of the big chill!